Bluehost vs. A2 Hosting Comparison (2019) - 1 Clear Winner! Home » Hosting Reviews » Hosting Comparisons » Bluehost vs. A2 Hosting Comparison (2019) – 1 Clear Winner! Bluehost vs. A2 Hosting Comparison (2019) – 1 Clear Winner! 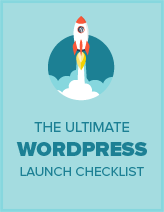 Looking for the best WordPress hosting provider? Are you trying to decide between Bluehost and A2 Hosting? 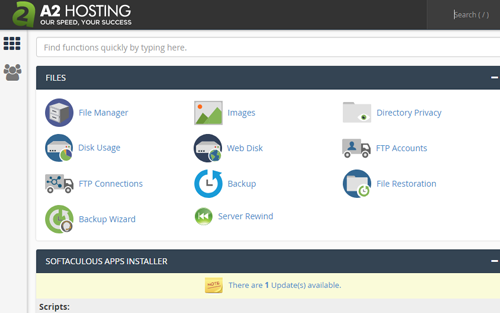 Both Bluehost and A2 Hosting allow you to host your WordPress website with ease. But one has to be better than the other, right? In this article, we’ll provide a head-to-head comparison between A2 Hosting and Bluehost so you can decide which one’s the right solution for your budget and needs. 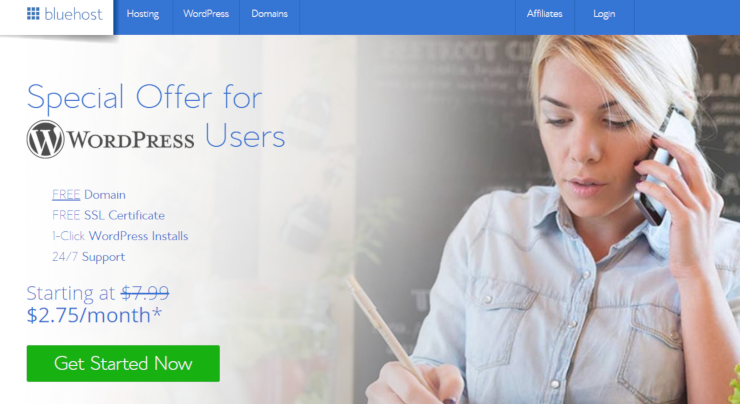 Bluehost is an officially recommended hosting provider by WordPress.org. It was founded in 2003, and currently hosts over a million websites from all around the globe. With every hosting plan, Bluehost provides a free domain name and a free SSL certificate. They also offer a 30-day money back guarantee to try out their service, risk-free. A2 Hosting is a leading developer-friendly hosting company that provides all the features you need to get your site up and running. They also allow you to choose your preferred data center when signing up for their hosting services. Best of all, A2 Hosting provides an anytime pro-rated money back guarantee if you’re not fully satisfied. Speed and uptime are the most important factors you’ll need to consider when choosing a web host. Almost every hosting provider guarantees super fast website speeds and high website availability. To test whether Bluehost and A2 Hosting actually live up to their hype, we decided to analyze their page speeds and uptime guarantees by signing up with each of them and creating 2 test sites. However, our A2 Hosting site took 1.28 seconds to load, meaning the site was only faster than 84% of all tested sites. According to our Load Impact test, the number of live visitors didn’t have any negative impact on Bluehost. On the other hand, our A2 Hosting test site performed consistently until there were around 40 visitors on the site. The website slowed down for a while and then reverted to its normal state. According to our Bitcatcha test, the overall performance of Bluehost and A2 Hosting were both graded C.
For managing web hosting accounts, both Bluehost and A2 Hosting provide cPanel access to users. Plus, their 1-click installers help you quickly install popular website scripts such as WordPress, Joomla, Drupal, etc. With Bluehost, you can expect all the essential features you’ll need to kick start your website; including unmetered bandwidth, 1-click installers, a free domain name, and SSL. With their starter shared hosting plan, you can host 1 website and, with a slightly more expensive plan, you can host unlimited websites and avail free marketing credits. Anytime money back guarantee: If you’re not satisfied with A2 Hosting, you can request a full refund within 30 days of signing up. They also provide a pro-rated refund for unused hosting services. Several hosting options: Unlike Bluehost, A2 Hosting provides a wide variety of hosting options. For example, with their VPS plans, they offer an unmanaged server, managed server, discount SSD server, core server, etc. Free site transfer: With every web hosting plan, A2 Hosting provides free site migration. Bluehost provides 24/7 support via live chat and phone. To focus on providing direct support via live chat and phone, they’ve discontinued email-based support. That means, if you’re too busy to wait for an agent to respond via live chat, you won’t be able to get your support query solved. A2 Hosting provides 24/7 support via 3 modes: live chat, phone, and email. Their robust knowledge base explains everything you need to know about building a website with A2 Hosting, step-by-step. A2 Hosting $3.92 /mo. $3.92 /mo. $11.99 / mo. $5 / mo. $99.59 / mo. From the table, you can see that Bluehost provides affordable hosting plans for shared, WordPress, and dedicated servers. For VPS, A2 Hosting’s plans are cheaper thanks to their unmanaged hosting service. 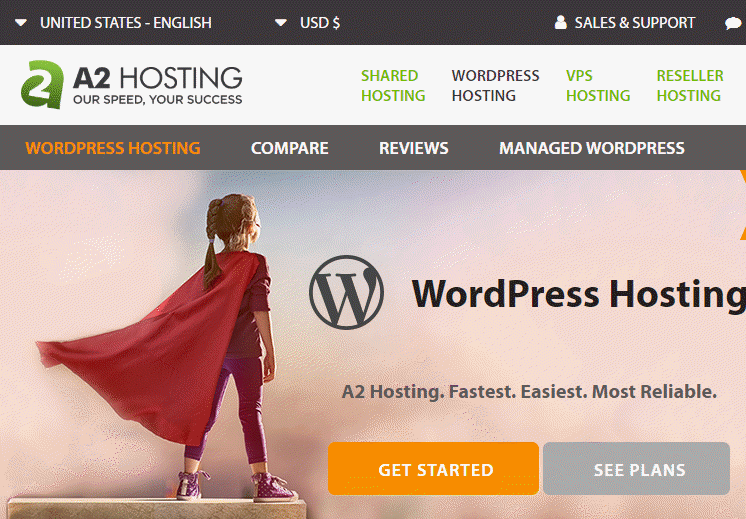 A2 Hosting’s managed WordPress plans are also cheaper than that of Bluehost. But, overall, Bluehost provides more affordable hosting services, especially for newbies. We believe that Bluehost is a better hosting provider overall than A2 Hosting. 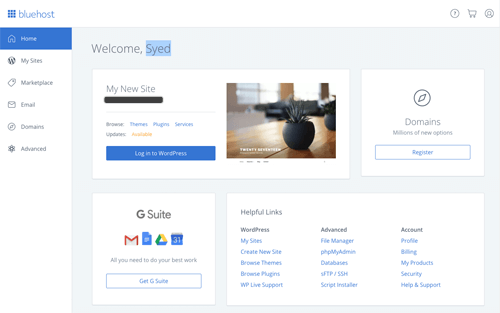 Not only does Bluehost provide everything you need to get your site up and running, but they also make the entire onboarding process super easy. When starting out, you may feel like building a website is quite expensive. However, with Bluehost’s low introductory pricing, you can start a site for as low as $2.75. You can also avail a free domain name and an SSL certificate. We hope this article helped you find the best web hosting service that meets your budget and business goals. If you enjoyed this article, you might also want to check out our full Bluehost review or in-depth A2 Hosting review.